Whether you have little drawing experience or are just new to the style, Idiot's Guide®: Drawing Manga is the essential guide for the beginner joining the Japanese Manga craze. The creative minds behind 9colorstudio offer a simplified approach with easy step-by-step instructions and mini-lessons, set out as if you were having a drawing lesson. Learn to draw the basic features of characters with line-by-line walkthroughs and practise some of today's recognised styles. In no time, you will be able to create your own crazy characters in many of the most popular Manga styles. 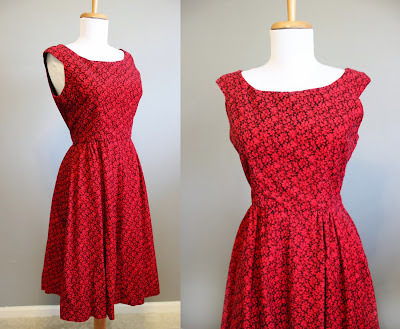 Or, use your understanding of the basics to develop a style that is unique to you. 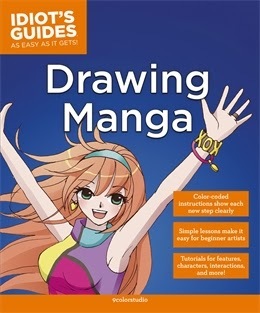 This fully illustrated guide to drawing Manga is a really great guide for beginner or intermediate artists wanting to try out some Manga specific techniques. You will also learn some basics in proportion and expression. I love that book teaches you to draw many different types of people, from toddler to older adult, all in both male and female forms. The section on drawing eyes was especially insightful to me. The Manga eyes are very stylized and it was great to see so many different ways to draw them. Eyes can really make or break a character. The finishing touches that make a Manga character Manga are a lot of fun to see. I've already mentioned the eyes, but also the specific styles and ways of drawing hair and clothing really make your character into the Manga style. The author makes the drawing look very easy, and the lessons are broken down into simple steps. The reader isn't expected to make something too complicated. One thing I love about this way of teaching is that it is so easy to make the character your own, by adding a few of your own touches here and there. Bottom Line: For an artist wanting to learn the Manga style, or brush up on different features to make their drawings look more stylized, this is an excellent guide. The lessons are easy to follow, and the drawings are a lot of fun to create! "The Tiny Book of Tiny Stories, Vol. 3"
From Golden Globe Award–nominee Joseph Gordon-Levitt and his online creative coalition hitRECord, and in collaboration with the artist Wirrow, comes Volume 3 in the Tiny Book of Tiny Stories series. 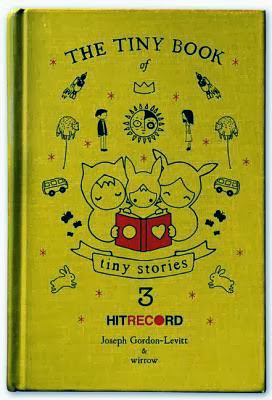 To create The Tiny Book of Tiny Stories, Joseph Gordon-Levitt, known within the hitRECord.org community as RegularJOE, directs thousands of collaborators to tell tiny stories through words and art. With the help of the entire creative collective, he culls, edits, and curates the massive numbers of contributions into a finely tuned collection. The Tiny Book of Tiny Stories, Volume 3 once again brings together art and voices from around the world to unite and tell stories that defy size. I just love these tiny books so much! 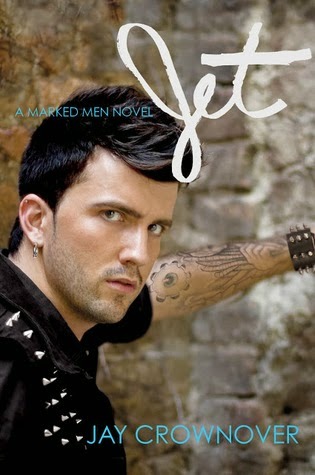 If you haven't read one yet, you are missing out on a lot of fun! I may still like the first volume of Tiny Stories the best, but this one had some real gems. 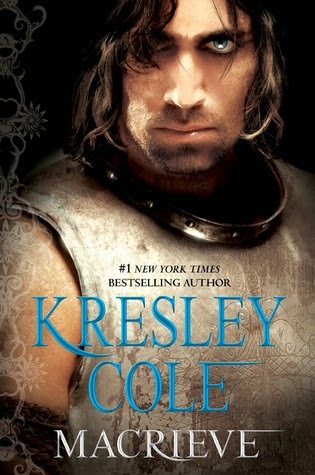 I enjoyed this one more than the second book. I love that the tiny stories can be interpreted in so many different ways by different readers. Some of the stories really resonate for me personally, and I'm sure that different ones would impact other readers the most. Since they are so short, they can be profound for varying reasons depending on who is reading them. I can even see the stories meaning something different if I went back and read them again. This little book is perfect stocking stuffer for the person on your list who has everything! The only downfall of the book is that I would like it to be longer with more stories!! It's over way too quick! I will just have to wait patiently for Volume 4! Bottom Line: I love this series, they are teeny tiny books just full of insight into everyday life. 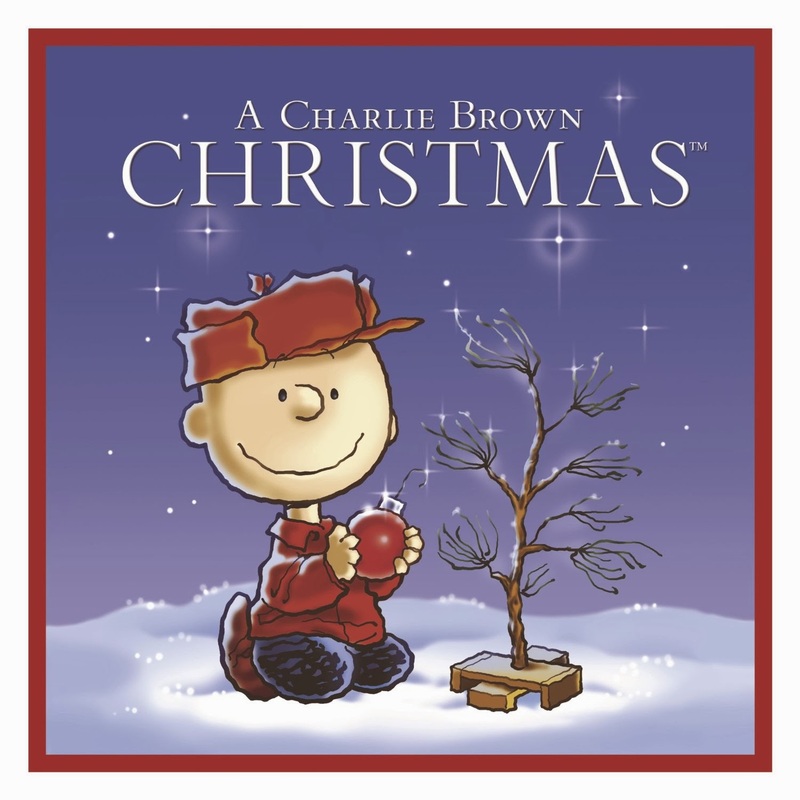 "A Charlie Brown Christmas: The Making of a Tradition"
No holiday season would be complete without watching Charlie Brown, Linus, Lucy, Snoopy, and the rest of the Peanuts gang give a forgotten tree a little love, recite the Christmas story, and sing "Silent Night." For nearly fifty years, since first airing in December 1965, A Charlie Brown Christmas has been one of America's most beloved television shows and is a holiday television staple. Every year millions of fans tune in to the Emmy-winning Christmas special featuring Vince Guaraldi's iconic jazz score and Charles Schulz's Peanuts characters as they remind Charlie Brown, and all of us, of the true meaning of Christmas. A Charlie Brown Christmas: The Making of a Tradition is a lushly illustrated tribute to the beloved television classic that takes readers behind-the-scenes of the Peanuts holiday special. It includes the script of A Charlie Brown Christmas, more than two hundred full-color pieces of original animation art, Vince Guaraldi's original score and publication notes for the songs "Christmas Time is Here" and "Linus and Lucy," and a look at the making of the feature from producer Lee Mendelson and original animator, the late Bill Melendez. The two share their personal memories and charming reminiscences on the Christmas special and reflect on their three decades of working with Peanuts creator, Charles M. Schulz. 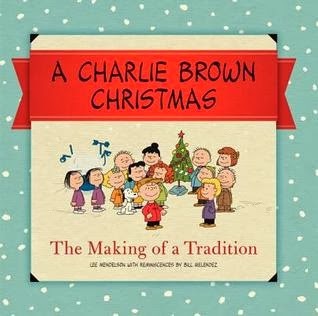 A Charlie Brown Christmas: The Making of a Tradition is a delightful and fitting salute to the holiday special that never fails to deepen your love of Christmas, touch your heart, and give you hope. This beautiful book is a must have for fans of the television special, "A Charlie Brown Christmas." The book not only gives us a behind the scenes look at Charles M. Schulz and the actual making of the animated special, but we also get to read the actual script from the show, illustrated with scenes from the special. For a fan of the show, it's truly something special. I loved to see the vintage advertising for the original special, and the vintage record covers. Images like this are pieced in throughout the book, along with vivid black and white photos of the actual making of the film. There are also original storyboards to enjoy, along with full page sheet music from the special. I was very impressed with how much memorabilia from the film is included in the book. This would be a wonderful gift for a family member or friend who watches this special every year as part of their Christmas tradition. It's great to see so in depth what an impact this little tv special made on all of us! Bottom Line: A beautiful book that includes a little bit of everything about "A Charlie Brown Christmas." It's a must have for fans! Free Ebooks for Kindle and Nook: Christmas Edition! I've found a few great Christmas and holiday ebooks available for free for Kindle and Nook! 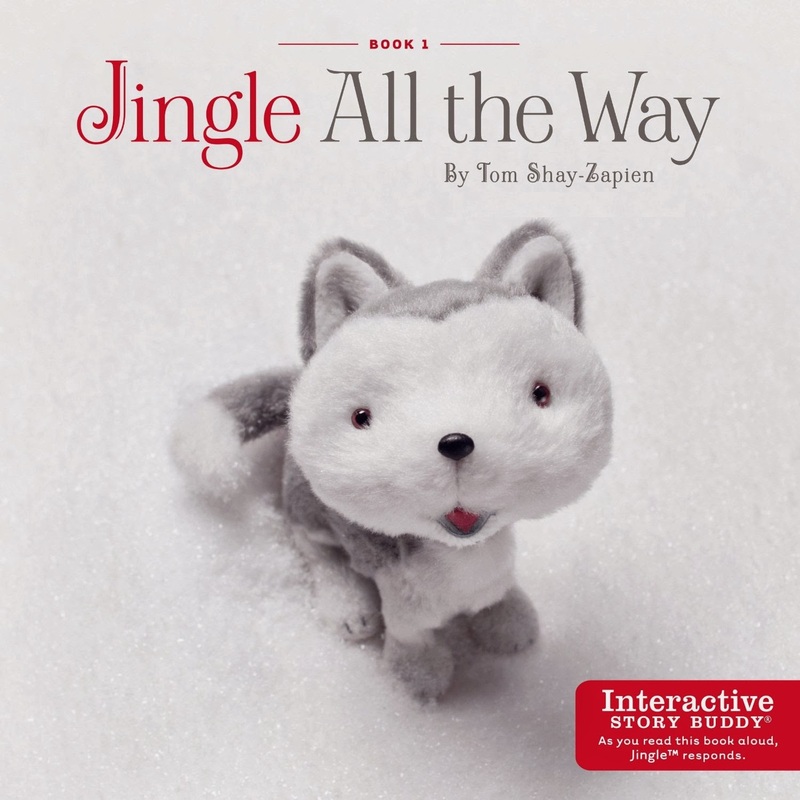 This story interacts with the Hallmark Story Buddy- Jingle! Merry Christmas and Happy Holidays, everyone!! Hurry and grab these while they are still free! 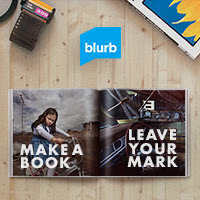 Share Your Love of Reading with Unique Kids' Books from Blurb! The holidays are the perfect time to share your love of reading with the little ones in your life. Whether they are your own children, or nieces and nephews, or children of your friends, kids love it when you read with them! 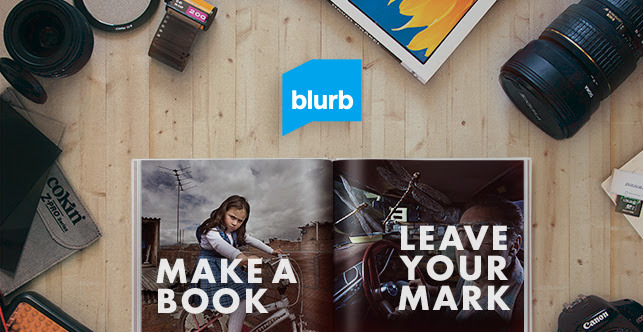 Blurb has a fantastic selection of self-published children's books that you can be sure your favorite little ones haven't read yet! Also, you will receive 20% off any purchase over $40! 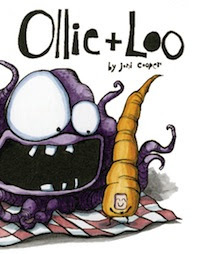 Joni Cooper brings incredibly original characters to life with brilliant illustrations in a book that will have parents and kids laughing along together. Very few children’s books have financial mismanagement as a central theme—we can only assume most children’s book authors have not had the pleasure of meeting a rabbit named Edward Hopper. 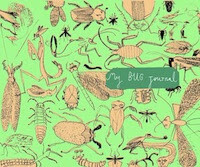 Bug-lover or other, this journal is sure to spark interest from anyone who takes a peek inside the covers. 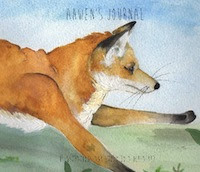 Enchanted illustrations, bug facts, room for records and much, much more. Myrtle finds solace with a not-so-scary scarecrow?and learns a lot about herself? in this short but sweet tale. The atmospheric illustrations have a little magic about them—we look forward to more from this young, talented illustrator. 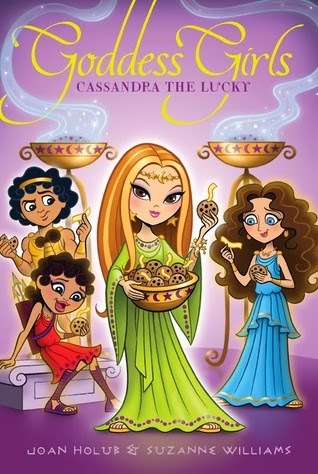 This story cleverly combines a lesson on self-worth with an exploration of different cultures, geography, and history. The talents of a former writing instructor and a visual artist are a winning combination here. A graphically pleasing book with a message tailor-made for the new generation of eco-warriors the importance of recycling and protecting the planet. 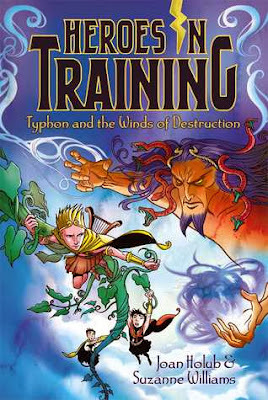 Join Theo on his journey as he navigates the obstacles and challenges of school—made all the more difficult due to his not-so-normal third eye. Fantastic illustrations bring this story’s great message to life. Fascinating facts, inspired inventions, intriguing illustrations, a poem or two—this book has it all. It would be impossible not to fall in love with the beautifully illustrated characters in this book. Ahwen, Harn, Charwood—we’ll be keeping an eye out for you the next time we’re in the woods. Another collaborative project delivers a brilliant book. With Zombies at the heart of this story—and superb illustrations by Bret Bowers—it’s one older children are sure to enjoy. Even toys relegated to a box in a forgotten corner of the house have lives of their own. In this heartwarming tale we learn just how much fun they have. Popping with color and originality, this rhythmical story makes reading aloud a real pleasure. Apparently, bad hair-days happen to young people too. In this lovely little book, bright (and very cute) characters illustrate a story designed to help children deal with the loss of a friend. Delightful creativity elevates the imagery in this standout book, a simple tale of lost-and-found for little ones. A lesser-known story by The Brothers Grimm gets a thoroughly modern makeover in this graphically rich retelling of Goose Girl from Madeleine Valley. This is one for the older bunch. Join Carolan on her hike up Red Plume Mountain where she discovers much more than the view of the surrounding landscape. This is a sweet story of unexpected friendship. See your little ones off to sleep and bid goodnight to the forest with this rhythmic wind-down bedtime book, from graphic designer and illustrator Emilie Dale. With fabulous illustrations from Gerald Kelley and a fun-packed story from author Michael Hall, the adventures of this brave trio of adopted dogs if sure to become a favorite. And don't forget! 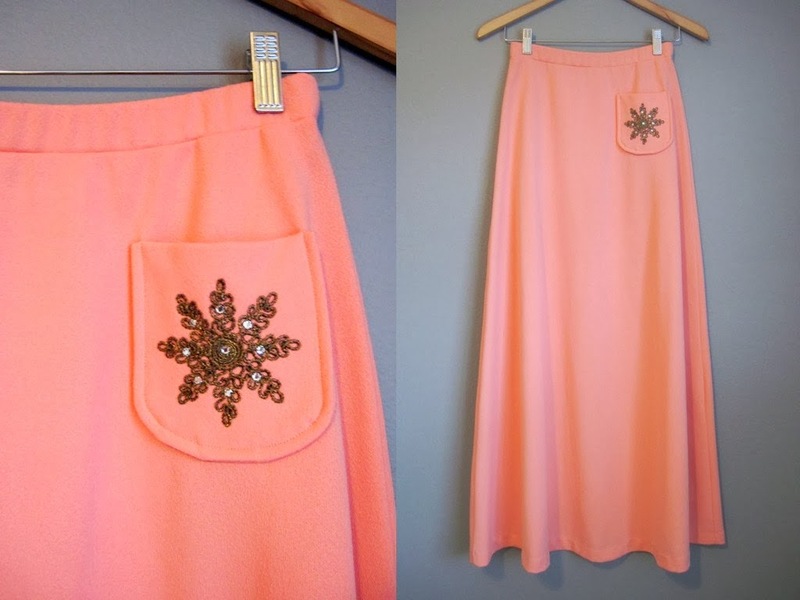 Make any purchase of $40 or more and you will receive 20% off! Disclosure: This is a sponsored post with affiliate links. 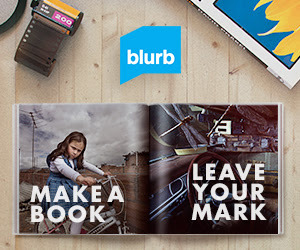 Book summaries are written and provided by Blurb. 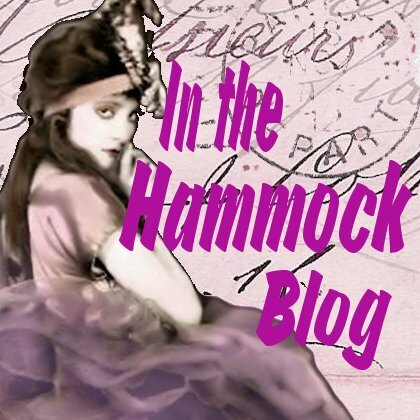 Recently, I introduced a new feature here at In the Hammock on Sundays. 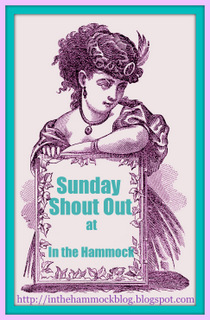 It's called "Sunday Shout Out" and it's a place where I can give a special shout out to those publishers and authors who have sent me books over the week, as well as those bloggers who have hosted contests that I've won! I'll also be giving shout outs to any other cool books, blogs or bookish news that I've spotted during the week. Waiting on Wednesday is hosted by Breaking the Spine, and it is a way to show off the books you can't wait to be released!! One house, two worlds...book two in our sumptuous and enticing YA series about the servants and gentry at Somerton Court. London is a whirl of balls and teas, alliances and rivalries. Rose has never felt more out of place. With the Season in full swing, she can't help but still feel a servant dressed up in diamonds and silk. Then Rose meets Alexander Ross, a young Scottish duke. Rose has heard the rumors about Ross's sordid past just like everyone else has. Yet he alone treats her as a friend. 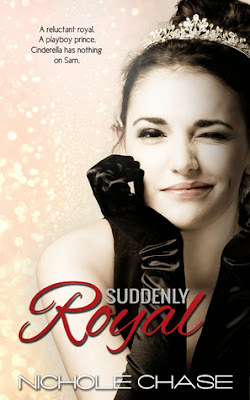 Rose knows better than to give her heart to an aristocrat with such a reputation, but it may be too late. Ada should be happy. She is engaged to a handsome man who shares her political passions and has promised to support her education. So why does she feel hollow inside? 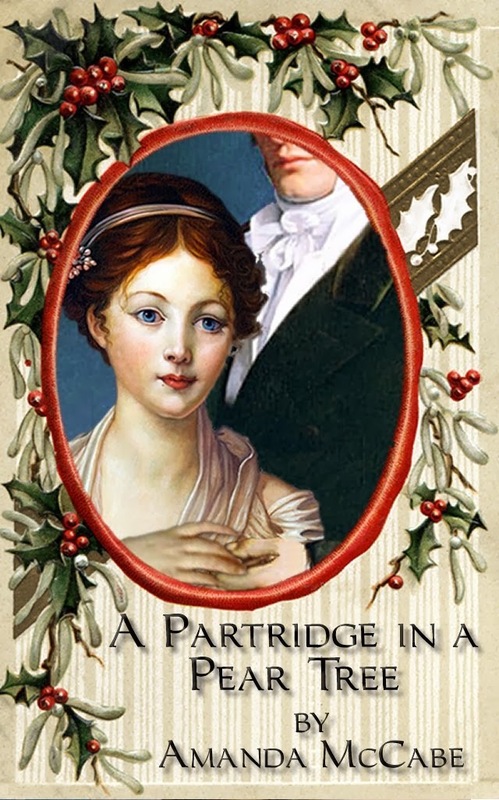 Even if she hated Lord Fintan, she would have no choice but to go through with the marriage. Every day a new credit collector knocks on the door of their London flat, demanding payment for her cousin William's expenditures. Her father's heir seems determined to bring her family to ruin, and only a brilliant marriage can save Somerton Court and the Averleys' reputation. 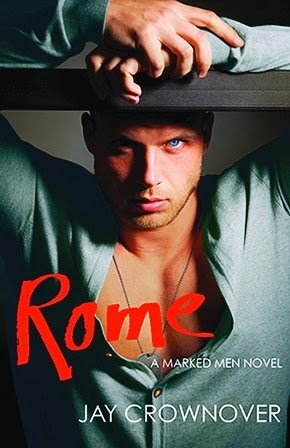 Meanwhile, at Somerton, Sebastian is out of his mind with worry for his former valet Oliver, who refuses to plead innocent to the murder charges against him--for a death caused by Sebastian himself. 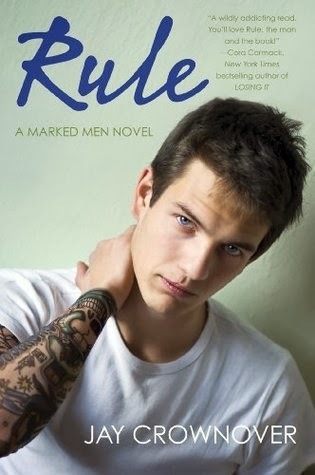 Sebastian will do whatever he can to help the boy he loves, but his indiscretion is dangerous fodder for a reporter with sharp eyes and dishonorable intentions. The colorful cast of the At Somerton series returns in this enthralling sequel about class and fortune, trust and betrayal, love and revenge. 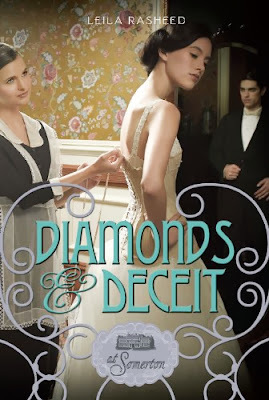 I loved the first book in the At Somerton series, "Cinders and Sapphires", and I can't wait to see what happens to these characters next! What are you waiting for this week??? Hi Everyone! 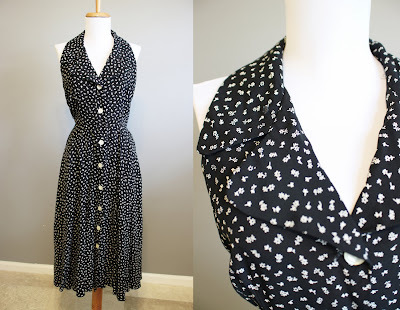 I've just added some awesome new items in my vintage shop! Here a few of my fave festive Holiday picks! Check out my sale section for items at 40% off!! 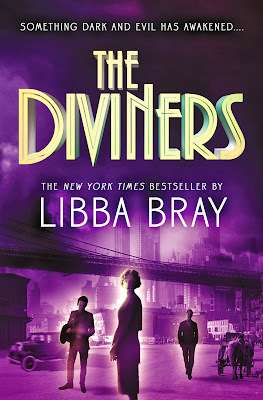 Do you believe there are ghosts and demons and Diviners among us? Evie O'Neill has been exiled from her boring old hometown and shipped off to the bustling streets of New York City--and she is pos-i-tute-ly ecstatic. It's 1926, and New York is filled with speakeasies, Ziegfeld girls, and rakish pickpockets. The only catch is that she has to live with her uncle Will and his unhealthy obsession with the occult. Evie worries he'll discover her darkest secret: a supernatural power that has only brought her trouble so far. But when the police find a murdered girl branded with a cryptic symbol and Will is called to the scene, Evie realizes her gift could help catch a serial killer. 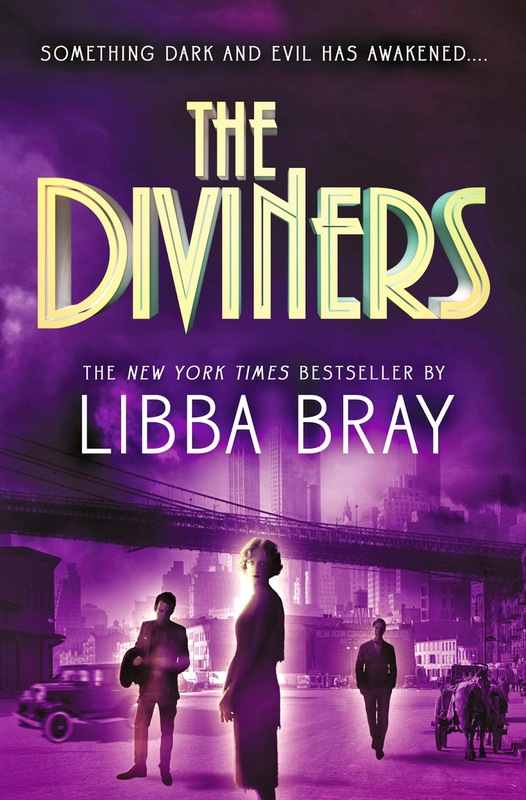 Printz Award-winning and New York Times bestselling author Libba Bray opens a brand-new historical series with The Diviners, where the glittering surface of the Roaring Twenties hides a mystical horror creeping across the country. 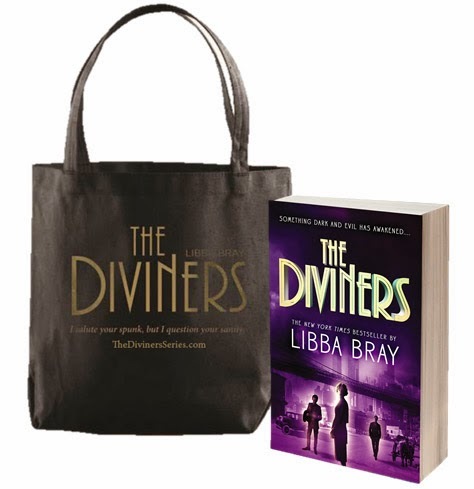 You can win the brand new paperback version of the book and an exclusive Diviners tote bag! 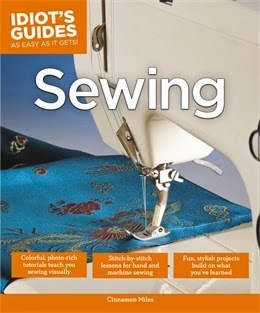 The publisher has generously provided a paperback copy of this book and a tote bag for a lucky reader of my blog. All you have to do is fill out the Rafflecopter form below. Thanks to everyone for entering! Good luck! Disclosure: Giveaway is sponsored by the publisher, I received a copy of the book in exchange for this post. Rachel Milligan is caring for her seven-year-old niece, Holly, at her home in Chicago when she receives devastating news: Holly's parents have been killed in a plane crash. Because Rachel is Holly's only known relative, she assumes that she will be her beloved niece's guardian. However, custody is awarded to Lydia, a distant aunt who happens to be Amish. Just a week before Christmas, Rachel takes Holly to the Amish community in the hopes of persuading Aunt Lydia to relinquish custody. Instead, Lydia sets out to teach Holly to live according to the Amish way. 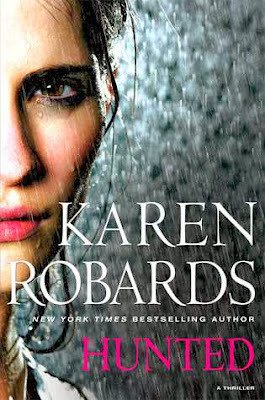 As family secrets emerge and old wounds are healed, Rachel realizes that she will do whatever it takes to ensure that Holly has the loving family she needs. Combining an Amish family saga with the anticipation of Christmas cheer and the promise of a budding romance, this newest Christmas story from beloved author Melody Carlson is sure to please. I really enjoyed the Christmas story, even though I didn't really know what I was getting into when I started to read it! I didn't know that the book would start with a tragedy, or I might have steered clear. Rachel's brother and sister and law were killed in a plane crash, leaving Rachel's niece Holly as her only family. It was a little strange to me, because it didn't seem like Rachel was really that sad about the plane crash. But I suppose she was just staying strong for Holly. But soon, Rachel learns that she must send Holly away to live with another aunt who is Amish. How will she stay strong when she is losing all she has left of her family? And what is right for Holly? This story is an interesting twist on the Amish tale we are used to reading, since we see things from the oustsiders' points of view. Holly's other aunt, really wasn't very nice to Rachel at all, and Holly was supposed to instantly be used to this completely different way of life. I honestly felt scolded right along with Rachel when Holly's Amish grandmother told her how selfish Rachel was being for wanting to keep custody of Holly. I had been pulling for Rachel to retain custody for the whole book, was I selfish, too? You'll have to read the book to see what happens, but after that, I sure didn't know what to expect or where it was going. The romance between Rachel and Holly's uncle, who had his own views about the Amish even though he was born in the community, was quite cute. He was very likable right from the start, and even though the romance certainly took a backseat to the family drama, it was a lot of fun to see the little sparks fly between the couple. Bottom Line: This is a nice, short holiday story, that mixes some heavy subjects with uplifiting Christmas cheer. 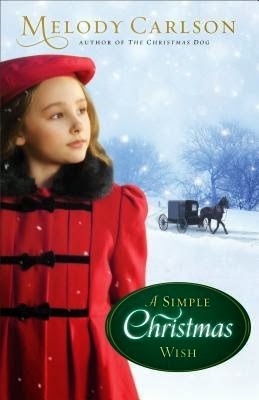 "Christmas at Harmony Hill: A Shaker Story"
It is 1864 and the nation is still torn apart by civil war when Heather Worth discovers she is with child. She has been working as a laundress with her husband's army unit, but when the army gets orders to march south to Tennessee, Gideon insists Heather go home to have their child under safer conditions. Heather agrees, but returns home to another kind of devastation--deaths in the family and a father who refuses to forgive her for marrying a Yankee. 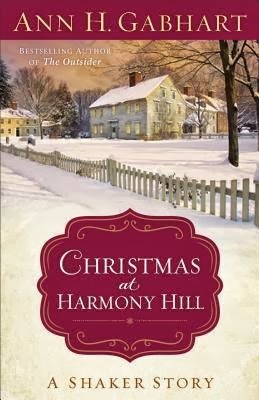 With nowhere else to turn, Heather seeks refuge at the Shaker village of Harmony Hill, where her great aunt Sophrena lives. There, after many peaceful years at Harmony Hill, Sophrena is having doubts about her Shaker path. Both women are in need of love and forgiveness--whether given or received. With Christmas coming, can the miracle of new life fill their hearts with unexpected joy? Ann H. Gabhart's many fans will be thrilled to return to Harmony Hill at Christmastime for this stirring story of healing and hope. This book is a difficult one to review. 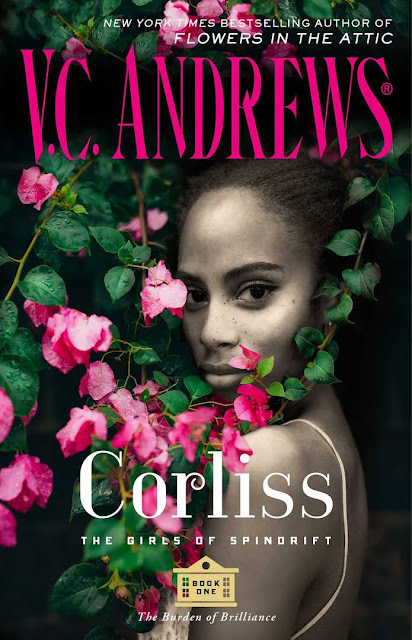 It was actually a difficult one to read, so much turmoil happens in the book, and there is an overall tone of melancholy. I'm also not sure how I feel about the way that the Shaker people are portrayed in the book. However, I found myself telling my fiance the entire plot of the book, so I think I must have enjoyed it more than I realized. The plot itself was quite exciting, and I found myself intrigued at the way that all of the pieces to the puzzle fit together by the end. I have visited the Shaker Village at Pleasant Hill, which inspired the somewhat fictional village of "Harmony Hill" in the book. I love this place, and if you ever get the chance to visit there, please do!! It was lovely to imagine the story happening in this setting, I could totally visualize it in my head. However, it was tough for me to think about these stern and rigid people living in the beautiful and peaceful village that exists today. There was one female elder that just really rubbed me the wrong way. She was so mean to Heather, who just needed help. I would have liked for more of the Shakers to have been portrayed as kind people, such as the doctor, even if they didn't believe it the same things we believe in. I'm sure the author has done her research on the way the Shakers really were, but I just have preconceived, romanticized notions of how I would like them to have been. The end portion of the book really had me turning the pages as fast I could. That was when everything started to come together and all of the characters really learned about what it means to forgive. Bottom Line: The book isn't the typical holiday story, but the overall message of forgiveness is one we can learn from. 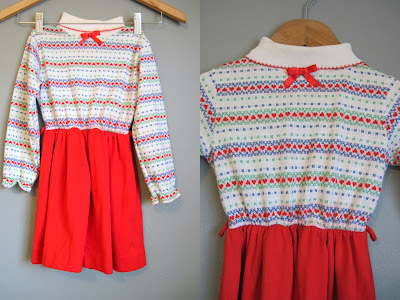 Review and Giveaway! "Sundays at Tiffany's"
Giveaway and Review: "Six Sisters' Stuff"
Guest Post and Giveaway: Tracy Deebs Author of "Tempest Unleashed"